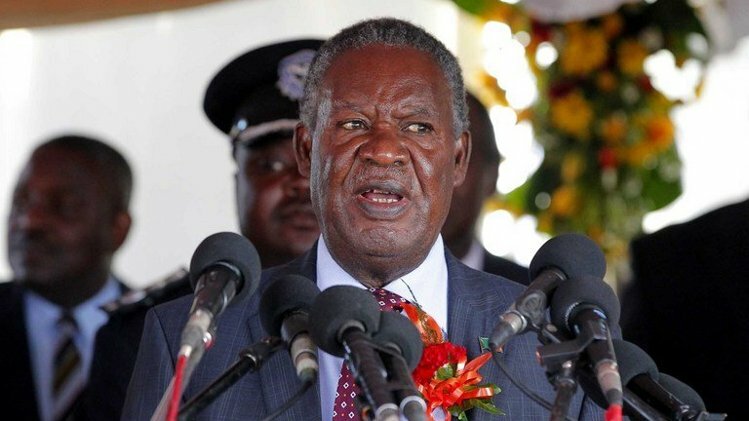 President Michael Sata is unwell and may not even go to Kenya for that country’s golden jubilee Independence Celebrations, a source from within State House has told the Zambian Watchdog. The source says Mr. Sata may delegate Vice-President Guy Scott who represented him at the Nelson Mandela Memorial service in South Africa yesterday to attend the ceremony. The source says if Sata travels to Kenya, he may use the trip to proceed to the United Kingdom for medical attention. Mandela died on December 5, 2013 but Sata was only able to go to the South African High Commission to sign the books of condolences and declare seven days of national mourning ON dECEMBER 9, 2003. Even the messages of condolences from State House were sent two days after all world leaders had communicated theirs. What was Sata doing all that time? Sources said Mr. Sata further has problems attending to length functions because of his healthy and unstable condition that make him act in a very unpredictable manner. “Haven’t you seen that even in Zambia, he cannot last more that 30 minutes at a function. Normally he likes attending to functions which he can dictate and rush it by cancelling certain activities that are lined-up. Now the Mandela funeral service lasted almost the whole day and all dignitaries had to sit till the conclusion. Our man cannot last that long and the Kenyan ceremony might be that length as well,” sources have revealed. According to sources, Mr. Sata is not feeling too well and may need to travel to the United Kingdom for treatment and that was why he could not travel to South Africa and may not travel to Kenya for independence celebrations there but may again delegate Vice President. Further the source said knowing Sata, after reading the story on the Zambian Watchdog, he may go to Kenya and come back but will shortly disappear to the United Kingdom. “You know he is very sensitive to the media. After reading your story, he may go to Kenya and back but I can assure you he will soon go to the United Kingdom. If not he may go to Madiba’s burial on Sunday and proceed from there to the United Kingdom. All these are options on the table. He reads the Watchdog,” sources have disclosed.